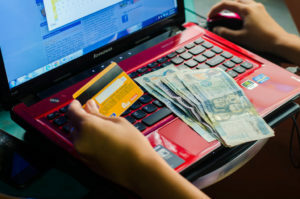 As more and more businesses seek out international online payment solutions to help reach customers across the globe, many business owners are unsure about how to keep these transactions secure and free of fraud. This means some card issuers may charge international transaction fees when payment transactions are sent overseas for processing. Using an example international transaction fee of 0.8%, a $1,000 purchase would appear as $1,008 on a final statement. This means if you see your purchase is slightly higher than expected, this could be the explanation. Pop-up ads – most reputable retailers don’t allow them. Experts on international sales suggest international sellers of any kind should have a basic understanding of local laws, duties, taxes, customs and free trade agreements in the countries where they do business.